BIAFRA : Fear Of Justice for Nnamdi Kanu As Nigerian Government Refused To Appear In ECOWAS Court. 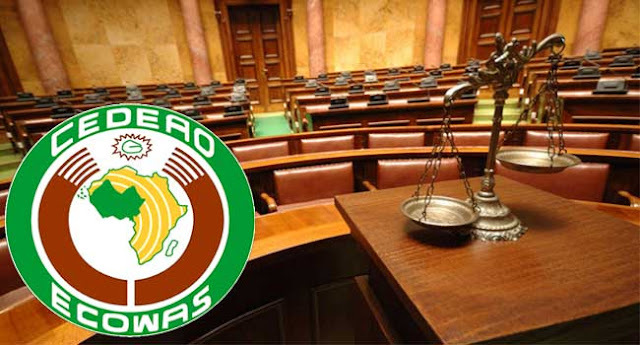 The federal government of Nigeria have displayed to the world how incompetent and corrupt the Nigerian judiciary is by refusing to show up at ECOWAS court. It is a very shameful thing that the Nigerian government is afraid of Justice due to their corrupt nature. Previously, the Nigerian government with her corrupt judicial system have been delaying Nnamdi Kanu's case with their fraudulent excuses, because they know that he is not guilty of the charges filed against him. When will Nigerian government and her deceitful and corrupt judiciary be upright and uphold justice to various cases in Nigeria? Scores of cases are pending and prisons are filled up with innocent people who are just yet to undergo trial. The judiciary is and should remain the last hope of every citizen, and the Nigerian government should allow the independence of the judiciary to prevail, rather than abusing it. Nnamdi Kanu have been discharged unconditionally by two courts, but due to the tyrannical nature of the government, they denied him bail by continuously springing forth fake charges him. Now, seeing that ECOWAS court will grant Nnamdi Kanu Justice, the Nigerian government ran away and refused to appear in court for the first time since the case started. Biafrans are now calling on the international community and human rights bodies to ensure that the judiciary is independent in Nigeria so as to bring Justice on the case of a prisoner of conscience, Nnamdi Kanu.